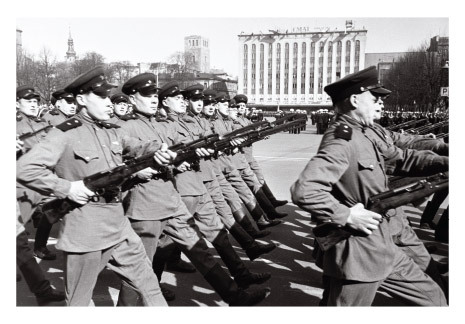 The constitution of the Soviet Union promised “freedom of speech, press and assembly and the right to join organizations”. While this principle was trumpeted loudly, it was not allowed to hold other public political meetings or speak publicly other than events held under the aegis of the ruling Communist Party and its sub-organizations. 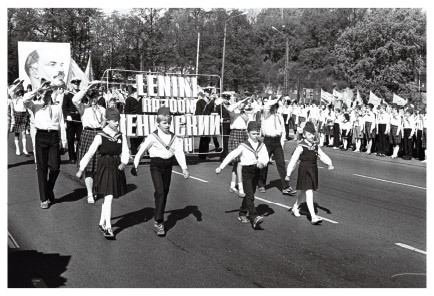 Demonstrations exalting the Party and the government on the international labour holiday, 1 May, and the October Revolution anniversary on 7 November were obligatory. 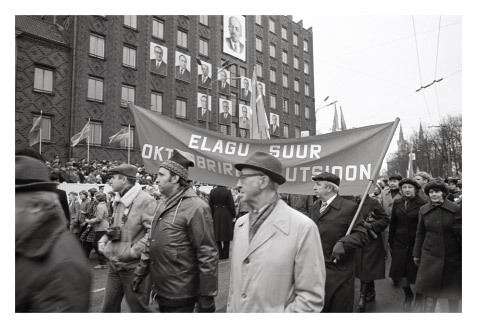 Estonia continues to have a fairly weak tradition of independent political protests and demonstrations, as the obligatory events in Soviet times had left such a bad taste. It was common for those who made political statements to be slapped with a ban on public speaking and publication for a specified period. Every year, musicians went before a board to present sample repertoire. The board decided whether or not they were given performance slots. This was a way for the regime to cull “unsuitable” performers. The expression “received a performance ban” was often used in connection with rock music in the Soviet era. 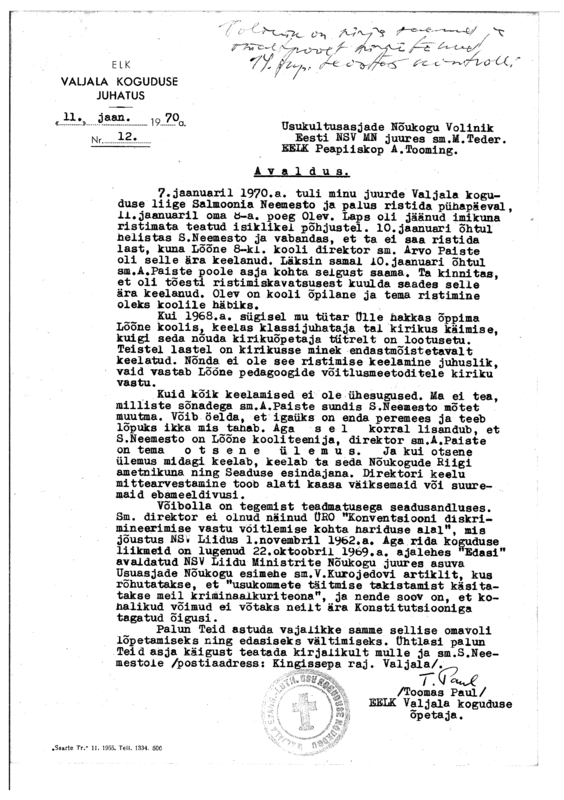 For instance, the multitalented Peeter Volkonski received a total ban on performing publicly, due to a directive of the Minister of Culture of the Estonian SSR. 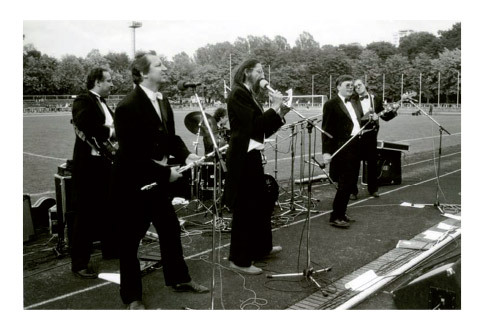 After his band Propeller performed a concert at a football game at 1980, he received a ban not only as a musician but also as a theatre actor. The prohibition lasted five years, until 1985. The Vanemuine Theatre actor and later rock musician Aleksander Müller (1947-2013) performed at the Viljandi rock festival in 1976. 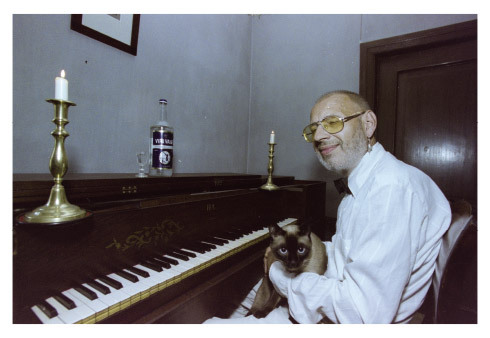 He was banned from performing a song written to a lyric by Juhan Viiding, entitled “Narkomaan” (Drug Addict), but did so anyway, to much acclaim. This was naturally followed by a one-year performance ban. 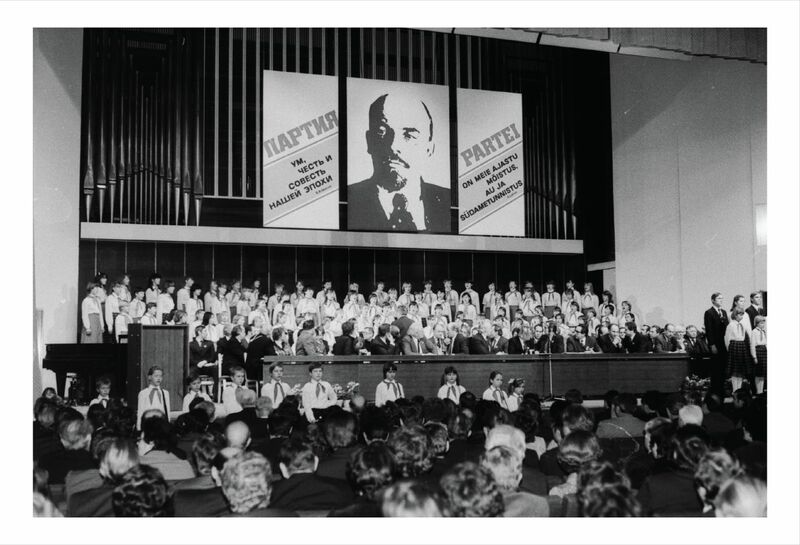 The Soviet regime nationalized the property of churches and limited the activity and economic opportunity of congregations (prohibition on providing social, women and child welfare, meetings of statutory bodies could only be held with permission from the executive committee, high rents calculated according to the space being used, electricity rates six times higher than normal and obligatory tithing a share of donations to the Peace Fund for Soviet propaganda production). After Stalin’s death, when many people returned from Siberia and society had become slightly freer, the number of religious services increased. An anti-religion campaign ensued. A massive pro-atheism campaign was waged with state funding, and it became impossible to publish religious literature. A limited number of calendars with church holidays and hymnal sheets were allowed. Those who brought religious literature from abroad were treated as smugglers. 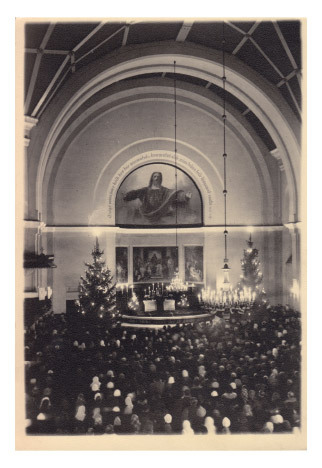 Even with the church forced into the margins of society, people turned out in droves for cemetery observances and Christmas services. 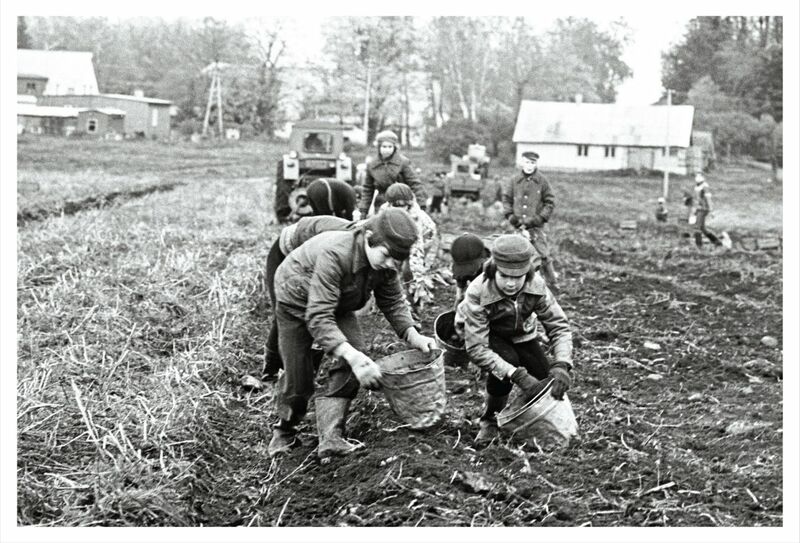 The message of reconciliation and the Christmas story were a counterweight to the everyday propaganda spouted on the radio and published in papers. There was a risk associated with attending church. An anonymous tipster had the power to get an imprudent citizen on a blacklist, which meant increased scrutiny of everything they did. Those working in positions with greater responsibility could even lose their job. The situation in the case of students was even more serious. 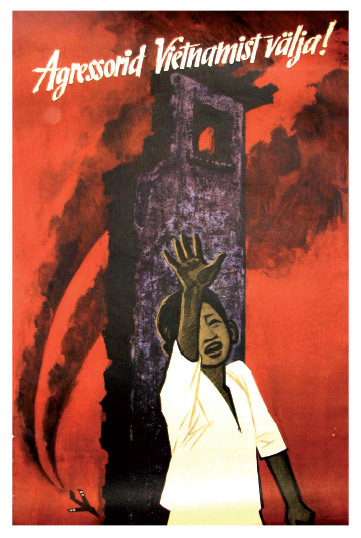 During the Christmas holidays, churches were under “siege” by teachers and zealous communist youths. Students could be expelled if they got caught attending church. Jamming of radio stations viewed as hostile became the norm. The Cold War between the Soviet Union and the West after World War II was characterized by media attacks. Propaganda was countered with counterpropaganda. Radio stations hostile to the USSR were a particular thorn in the side of the authorities: Radio Free Europe, Voice of America and Radio Liberty. Jamming stations were used to interfere with the signal broadcast by these outlets. 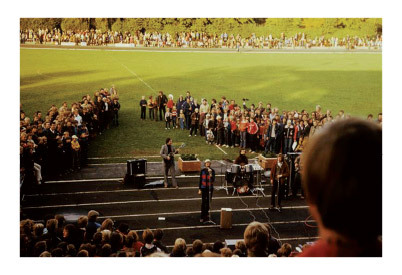 Finnish TV could be picked up in more or less viewable form on local television sets and receivers in northern Estonia starting from the 1960s. 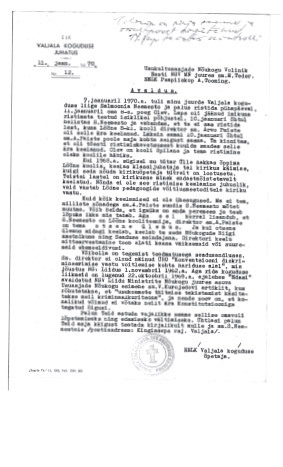 On 6 April 1982, the Central Committee of the Estonian Communist Party called for the “fight against bourgeois TV” to be prioritized by ideology workers. Brainwashing meant consistent coercive and violent indoctrination with communist ideology and pro-Soviet attitudes, beliefs and opinions. The aim was to transform hearts and minds into something akin to a new stage in human evolution – Homo sovieticus, a person not allowed to have nationalist or religious ideals. Accusations of nationalism or religiousness could lead to persecution. 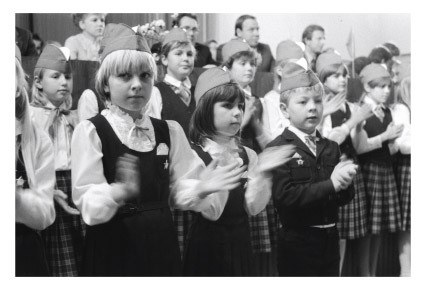 Brainwashing was used from preschool years to university level. Soviet attitudes were promoted in elementary form in nursery schools, while universities required subjects such as the history of the Soviet Union, dialectical and historical materialism, political economy of socialism and scientific communism. 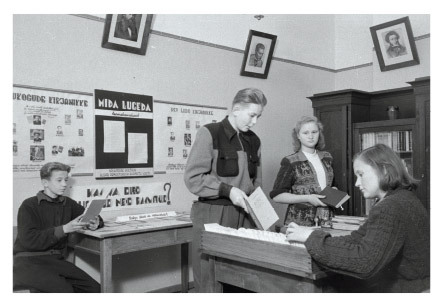 In 1940, immediately after the violent annexation of Estonia by the Soviet Union, lists of banned books were drawn up. In May 1941, books were destroyed. The methods were quite primitive. Bindings were slashed with knives or hacked by axe on a chopping block. The loose pages were then placed in bags and recycled at paper mills. The destruction of books continued in the post-war period as well. Hundreds of works considered classics of Estonian and world literature were now considered “anti-Soviet”. Destruction of major works published in the interwar republic era – the Estonian Encyclopaedia, the Great Bible, or Voldemar Vaga’s general history of art – were a particularly painful loss. 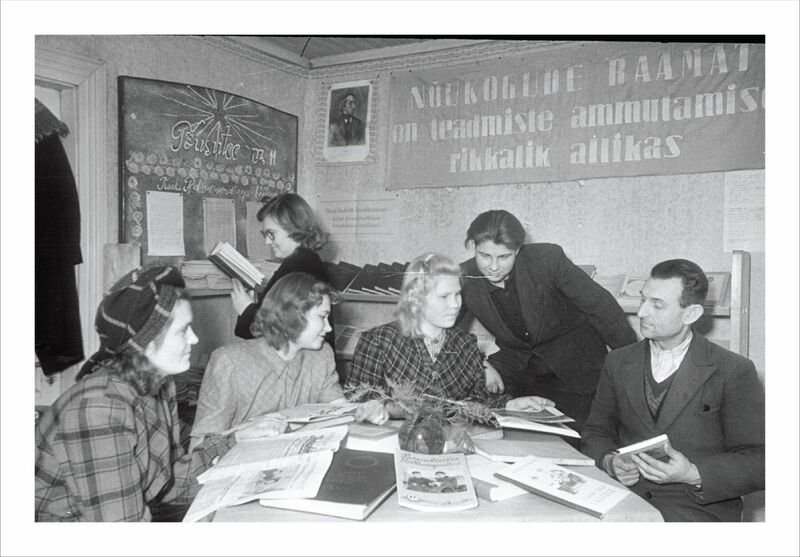 Special book depositories were set up at libraries for safekeeping of works considered anti-Soviet.